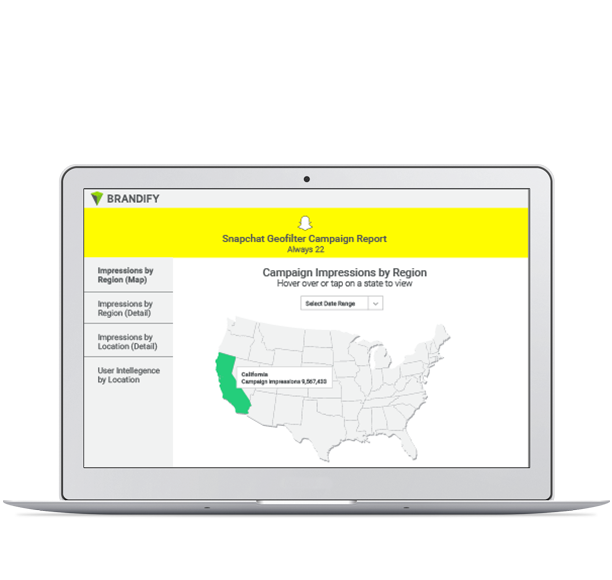 Brandify scales your campaign to thousands of locations seamlessly via API. 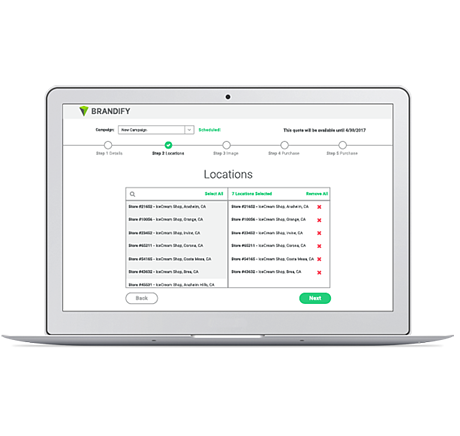 Using our Location Data Manager, brands can launch campaigns quickly and accurately using cleansed location data by Brandify. Addionally, ensure high performance by tapping into our powerful Snapchat campaign reporting. 60% of daily active Snapchatters create Snaps every day (Source: Snapchat Internal Data). There is no limit to the ways brands can engage in-store visitors with genuine local content that creates shareable moments, scale this effect with Brandify. Select specific locations, regions and date/s in dashboard. Over two-thirds of people who use Snapchat daily create content every day (Source: Snapchat Internal Data). Be part of the conversation. 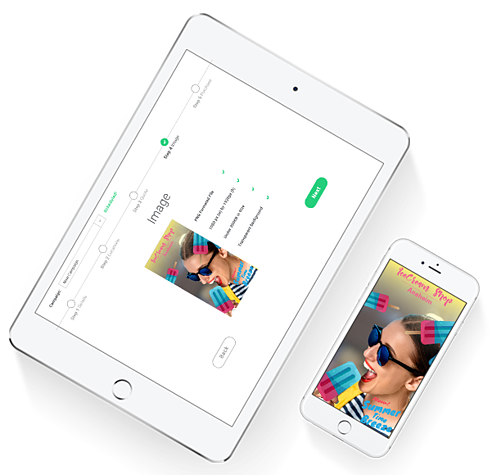 Leverage the Snapchat Geofilter API to launch campaigns with unique and multiple creative by location. Brandify supports brands from concept to execution, beyond your technology, leverage our creative team to turn passive consumers into active ones. 60%+ of US 13-34 year old smartphone users are Snapchatters (Source: Snapchat Internal Data). On-demand analytics post launch including impressions and usage intelligence.